If you’re looking for Phuket accommodation, then we may well have exactly what you need, at the right price and level of service. PhuketSpace has apartments for rent in three areas of southern Phuket: Rawai Beach, towards the south of Phuket, Phuket Town, the island’s historical capital, and condos near Chalong Bay. Phuket is serviced by the recently upgraded Phuket International Airport flying to cities in dozens of countries, plus regular flights to Bangkok and other Thailand destinations. Direct flights to major cities all over the world increase every year. 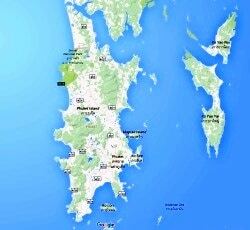 Although the island Phuket is surrounded by sea, it’s also linked to the rest of Thailand via Sarasin Bridge, making road travel to Phuket quick and convenient. Journeys to other major cites such as Bangkok and Hat Yai take around ten and five hours respectively. 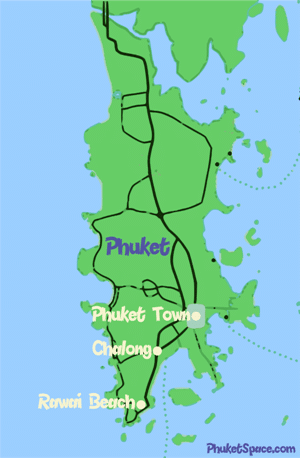 Phuket is also a major hub for speed boat and ferry connections to other islands near Phuket, or you may want to charter your own boat to explore some of the closer islands off Phuket.